Yateley car park lake, My carp fishing started in the early 90’s and i grew up hearing about the rock hard fishing, those huge Yateley carp and the dedication needed to catch one. 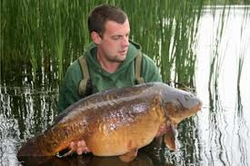 Yateley in those days for me was the pinnacle of carp fishing. I’ve never fished there though despite having a ticket many years ago. I have slept off some serious hangovers in the car park though! What would you say is your favourite tactic? I enjoy stalking. Finding them, watching them and working out how I can set a little trap for them. However my favourite tactic and one I use the most is prebaiting. Once you have them visiting and confidently feeding in an area they can often be a lot easier to catch! Who would you say carp angling hero? There are a lot of anglers that have influenced my angling over the years, but if I have to pick one it has to be Terry Hearn. Frustrating. Once again work has taken over most of this year, and I haven’t been able to spend as much time on the bank as I would of liked. I dearly want to catch the Snake Pit common, but I just haven’t been able to get myself into a position where I felt I could start stringing a campaign together. Yes, I have just started fishing a lake called Valentines. It’s nice and quite and fairly small. It holds a handful of chunks, one of them being a 40+!! So a winter 40 is my target. What advice would you give someone who struggles to find a good location to fish in? Location location location. It’s so important to get on the carp. Spend as much time looking as you can, even if it means setting the alarm clock for the early hours. Also look at previous captures if you have a target fish in mind. Often there’s a pattern to there captures. How would you advise someone who is tackling a weedy venue? Strong tackle, give you’re self a chance of landing them. Leave the marker at home. Get used to feeling the lead down and find a decent drop or ‘donk’. Often the holes are dinner plate sized so accuracy is vital. Introducing particles to an area over a few weeks a good tactic to create an area. Let the fish do the hard work of clearing a spot for you. Don’t ignore the margins. And remember weed is stuffed with naturals so if it its weedy the carp are not usually to far away. Are pop ups a big part of your fishing style? Yep, I’m usually looking for dirty/ silty areas so nearly all of my hook baits are popped up some way or another. If I’m stalking in the edge over sand or gravel then it’s usually a balanced tiger nut. What is your biggest angling no no? Cliques and bad etiquette. Fair enough keeping things to yourself but the social side of our sport is essential to keep you going through the blanks. On some lakes even a hello seams too much for some people. The sport is there to be enjoyed. Also consider other anglers. Spodding and markering next door to someone at bite time really grinds my gears! Looking back one capture springs to mind. My first carp from snake pit. He is called lettuce leaf, a real corker as well. Although I’ve been fortunate to catch some whackers from various circuit waters in the past, that snake carp really did get me buzzing. I’d been struggling like hell on there and I think I had amassed close to 60 nights with out a take. i had started to fish the same as everyone else and it was a mistake. I sorted myself out, got a little spot going and fished it my way and within a few days I had finally bagged one. What made it even more special was the fact that some of my closest mates came down to share the celebrations. What would be your 3 tips for good bank side photography? 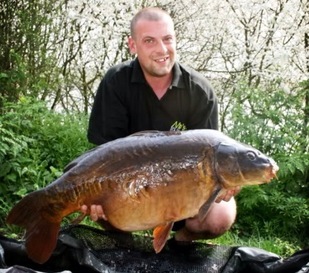 Always check the backdrop, foliage is much better than arses, rods and bivvys. Always have the sun behind the camera unless you want be a silhouette. And turn your head torch off in a night shot. Come spring I’m thinking about heading over to a huge Cambs pit… I’ve got some unfinished business on there from 2005. 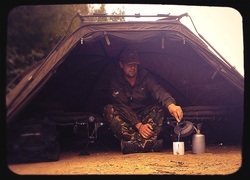 Come autumn if I can make the time I’m having another crack at the Snake Pit common.